It’s crunch time! 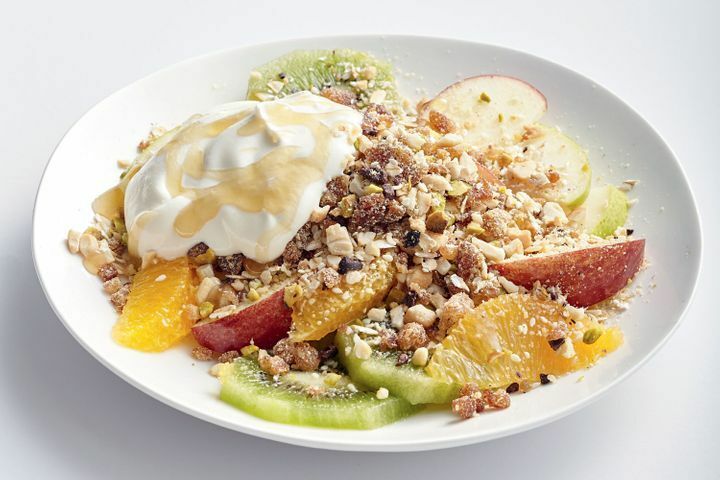 Get your day off to a healthier start with this nutty topping. Place rice cookies, cashews, pistachios, sesame seeds, rolled oats, coconut oil, ground cinnamon, cacao nibs and dates in a food processor. Process until finely chopped. Sprinkle over 4 servings of chopped seasonal fruit. Top with yoghurt and honey, if desired.